17/7/2013: Thousands of Irish Republicans are gathering this morning for the funeral of Vol. Seamus McKenna, republicans from across Ireland have gathered in south Armagh and north Louth, to say farewell to a dedicated and staunch republican. The funeral has begun at the home of McKenna’s son Sean in the Armagh village of Silverbridge. The funeral procession will travel across the border to St Mary’s Church, Ravensdale for mass at 11am, with burial afterwards in the church cemetery. 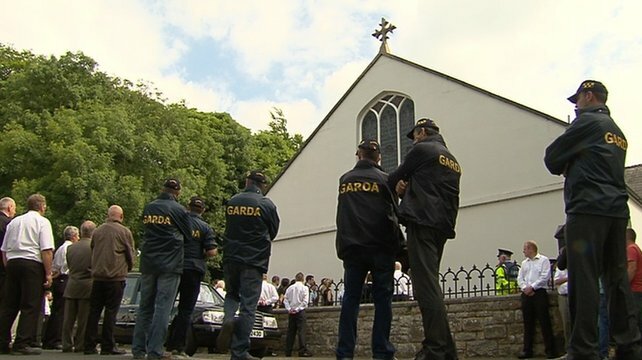 Teams of uniformed and armed gardaí set up checkpoints on approach roads around 1km around Ravensdale and searched cars making their way to the funeral at St Mary’s Church. Gardaí also questioned mourners, took personal details and requested ID from many of those attending. The Garda Dog Unit is also at the scene and reinforcements from the Public Order Unit in Leinster Area are on standby. A Garda Helicopter is monitoring the funeral. 16/7/2013: Gardai are concerned that attempts will be made by dissident republican groups to stage a paramilitary display at Seamus’s funeral in Ravensdale, Dundalk, tomorrow. His remains were removed last night to his son's home from a funeral home in his native Silverbridge, Co Armagh. Seamus McKenna was born in Monaghan, and lived in Clara in North Monaghan until he was a teenager. The family then moved to O’Neill Avenue in Newry and later Seamus moved to Silverbridge and then Dundalk. Seamus McKenna, Óglaigh na hÉireann, has been seriously injured after falling from a school roof while working in County Louth. McKenna has been a life-long republican and member of the IRA, McKenna never faltered in his dedication to the Irish Republican Army and that dedication was within the ranks of the Continuity IRA since 1986, although Seamus would have assisted anyone opposed to the British occupation. Seamus is, at the time of writing, on a life support machine. 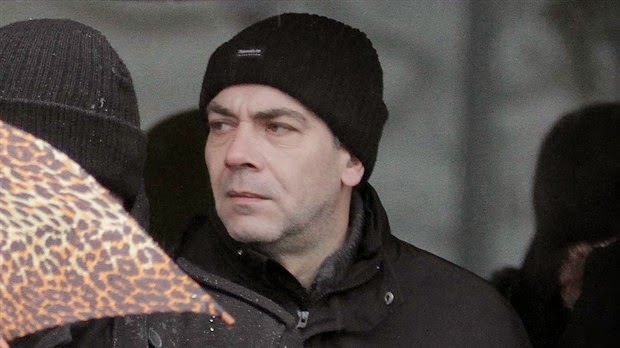 In 2003 Seamus was found in possession of 1,200Lb bomb near Dundalk and sentenced to six years in Portlaoise Prison, while the DPP appealed the sentence handed down, the Court of Criminal Appeal found that the sentence was appropriate due to McKenna’s previous lack of convictions. Seamus McKenna's Father, Sean McKenna Snr was interned and tortured in 1970 and, both Sean and other men who had been interned and tortured would have their inhumane treatment declared as such by the European Commission (Now The European Court of Human Rights). Seamus McKenna was named in a civil action taken by the families of victims of the Omagh bomb, however, the case against Seamus McKenna was dismissed and no evidence was adduced to secure either civil or criminal conviction. 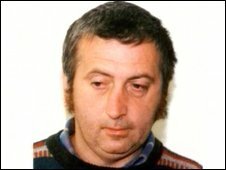 McKenna was named as allegedly one of the Real IRA team which transported the Omagh bomb into the County Tyrone town in August 1998. Twenty nine people, including the mother of unborn twins, were killed in the blast while hundreds more were badly injured. A couple of weeks back when life-long republican Ruairi O Bradaigh was buried, Seamus reflected on the time that Sean McKenna Snr had been buried in Clara in North Monaghan, and Ruairi had given the oration. On that day Sean Jnr (who was on the run) had been preparing to fire a volley of shots over his Father’s coffin with his Father’s personal colt 45 revolver when he was attacked by agents of the state, the gun that Sean was carrying, went off and his uncle Patsy McKenna was shot in the leg by accident. In December 2008 IRA Volunteer Sean McKenna died suddenly and goes now to rest after a life of dedication to the cause of Irish Freedom. Sean McKenna served many long hard years in Long Kesh and other British hell holes. When released from prison Sean McKenna was frail, having been on hunger strike and then being subjected to institutional torture in Long Kesh. Sean sought work with his cousin Vincent McKenna in Monaghan Mushrooms, and was happy working long hard hours to pay his way in the world. Sean later moved to his loved County Kerry, a county he truly enjoyed. Sean McKenna died in 2008 at his home in Dundalk. Sean never fully recovered from his ordeal on the first H-Block hunger strike in 1980 which lasted for fifty three days. Sean was buried on Monday, 22nd December 2008, in Calvary cemetery, Ravensdale, County Louth, after Requiem Mass in nearby St Mary’s Church. Republicans from across Ireland, including many former prisoners and surviving hunger strikers, attended the funeral. Vol. 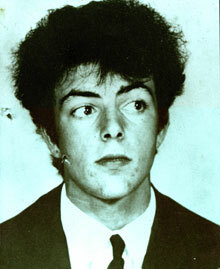 Sean McKenna had been illegally arrested, along with his Father, and hundreds of others, by the British army on 9th August, 1970. His father was one of the ‘hooded men’ and died whilst in his early forties as a result of being tortured. Father and son were both interned in Long Kesh. After his release Sean returned to active service but lived in County Louth at Edentubber. On 12th March 1976 members of an SAS undercover team crossed the border and abducted Sean, again illegally, without any protest from the Dublin government at the breach of its sovereignty. Sean was sentenced in a Diplock Court and was on the blanket for several years prior to the hunger strike. 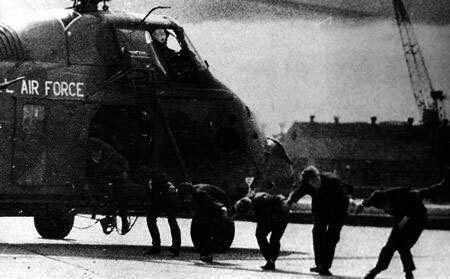 It was later alleged that the SAS who had kidnapped Sean McKenna was led by the infamous Captain Niarac, who was later executed by the IRA and his body never recovered. However, Sean McKenna was not able to confirm that Niarac was involved in his illegal kidnapping. "The British Army also fell foul of the Catholic population when they were involved in rounding up thousands of innocent Catholics and interning them without trial. The vast majority of these people would never have supported terrorism; however, the internment camps became the recruiting ground of the IRA. Recent history reminds us that the British have learned little from their mistakes, to win a war you must win hearts and minds; you don’t achieve that through inhumanity and brutality. My Uncle Sean McKenna and his son Sean Jnr were interned without trial. The European Commission would later make findings that my Uncle Sean and his comrades were tortured by the British, Uncle Sean was one of the men who famously became known as the 10 Hooded Men, due to the fact that the British placed hoods on their heads while torturing them". It was early morning on the 9th of August 1970 that British soldiers launched operation Demetrius, the introduction of internment without trial. Internment had been employed by the Unionist Government at Stormont in every decade since the creation of the northern state as a means to suppress Republican opposition. In the 1920s, 1930s, 1940s, 1950s and 1960s republican suspects had been imprisoned without trial. As violence increased in 1970 the Unionist Government again came under increasing pressure to clamp down on the activities of the IRA. By August 1970 the Stormont Government had convinced the British Government that internment offered the best method of dealing with the increasing violence, and pointed to its repeated success in previous decades. In an attempt to reduce the expected nationalist outrage a ban on all parades was announced at the same time, aimed at defusing the potential for unrest that the Apprentice Boys parade on the 12th August posed. The arrests were based on outdated lists containing 450 names provided by the RUC Special Branch; the British Army swept into nationalist areas of the north and arrested 342 men. The RUC intelligence, however, was hopelessly outdated and many of those arrested had no connections with the IRA. Others, although Republican minded, had not been active in decades. Others arrested included prominent members of the Civil Rights movement. In one instance in Armagh the British Army sought to arrest a man who had been dead for the past 4 years. It appears that the rapid radicalisation of much of the north’s nationalist community, and the RUC’s alienation from that community in the previous 2 years, had created a large intelligence gap in RUC files. Indeed, so out of date were the lists that within 48 hours 116 of those arrested were released. The remainder were detained at Crumlin Rd prison and the prison-ship The Maidstone. No Loyalists were arrested in the operation, despite the fact that the UVF had been active since 1966. The first Protestant internees were not arrested until 2nd February 1973. The Nationalist/Catholic community was outraged. This anger was reinforced when news of the treatment of the internees, particularly 11 men, including Sean McKenna, who became known as the "hooded men" became public. This anger took the form of increased support for the IRA and the commencement of a campaign of civil disobedience that enjoyed overwhelming support within the nationalist community. · In-depth interrogation with the use of hooding, white noise, sleep deprivation, prolonged enforced physical exercise together with a diet of bread and water. · Deceiving detainees into believing that they were to be thrown from high flying helicopters, in reality the blindfolded detainees were thrown from a helicopter that hovered approximately 4 feet above the ground. · Forcing detainees to run an obstacle course over broken glass and rough ground whilst being beaten by British soldiers. The botched arrests and stories of brutality escaping from the internment centres and the reintroduction of internment, which was viewed as a form of communal punishment and humiliation, unleashed a wave of violence across the north, with practically no military gains to offset the impact internment had on the entire nationalist community. In Belfast the IRA held a press conference on the 13th August at which Joe Cahill, the Officer Commanding the IRA in Belfast, claimed that internment had had no noticeable effect on IRA structures and the campaign would continue. The statistics add weight to his words. In the remainder of August 1971 35 people were killed, 1 more than the total for the previous 7 months, and c. 7,000 Catholic families had fled across the border. By the year’s end 139 people had been killed since the introduction of internment. Non-violent opposition to internment was marked by a number of rallies and marches were planned. On Christmas Day 1971 c. 4,000 protestors attempted to march from Belfast to Long Kesh. This march was blocked before reaching its destination on the M1 motorway and dispersed. On the 22nd January another protest march took place at Magilligan Strand, not far from Derry City. This protest was blocked by the British Army and dispersed with violence, in which members of the Parachute Regiment were prominent. The next anti-internment rally was planned for Derry, on Sunday 30th January 1972.